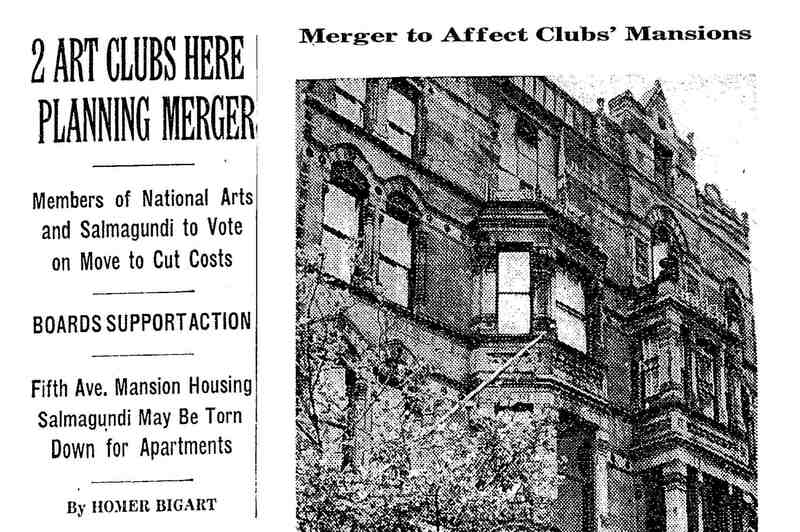 Fortunately, in both instances, wiser heads prevailed and the members of Salmagundi were able raise sufficient funds to enable it to remain in its landmark home on Fifth Avenue in Greenwich Village, independent of the National Arts Club in Gramercy Park. SCNY also successfully staved off efforts by the city to force it to demolish its grand stoop and enclose its ornate interior main staircase. Enter your email address to receive alerts when new articles are published: instantly • daily • weekly.